Once the richest country in Latin America, Venezuela has plummeted into an economic and humanitarian crisis. Shortages of food and medicine, severe power cuts, and hyperinflation have resulted in the migration of millions of Venezuelans from the country. The mass exodus of Venezuelans seeking refuge in neighboring countries has been ratcheting up tensions in the region. The country is near collapse. Amid widespread unrest, Maduro has sought to centralize power and eliminate political opposition. Last month, Maduro survived an apparent assassination attempt that used several drones armed with explosives. An article by The New York Times detailed secret meetings between American officials and Venezuelan officers plotting a coup. The Times article was based on interviews with 11 current and former United States officials and a former Venezuelan military commander. The meetings took place starting last fall and continuing into this year. According to the Times report, at least three factions within the Venezuelan military were plotting against the Maduro government. American officials met with the renegade Venezuelan military officers after the Venezuelan officers made contact. 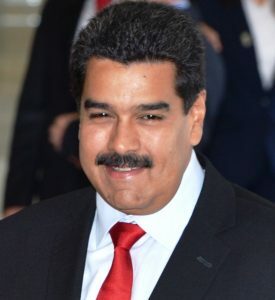 According to the sources, Washington ultimately decided against supporting the coup and did not provide the Venezuelan officers with any support. The rebels attempted to stage a coup several times. All attempts were thwarted after the plans leaked. Maduro’s government has since jailed dozens of the conspirators. President Evo Morales of Bolivia, a longtime ally of Maduro, also denounced the secret meetings. Morales was the only president who came to the defense of Maduro, reflecting the growing exasperation with Maduro’s government. The White House has not commented on the meetings.